Drum roll please…. 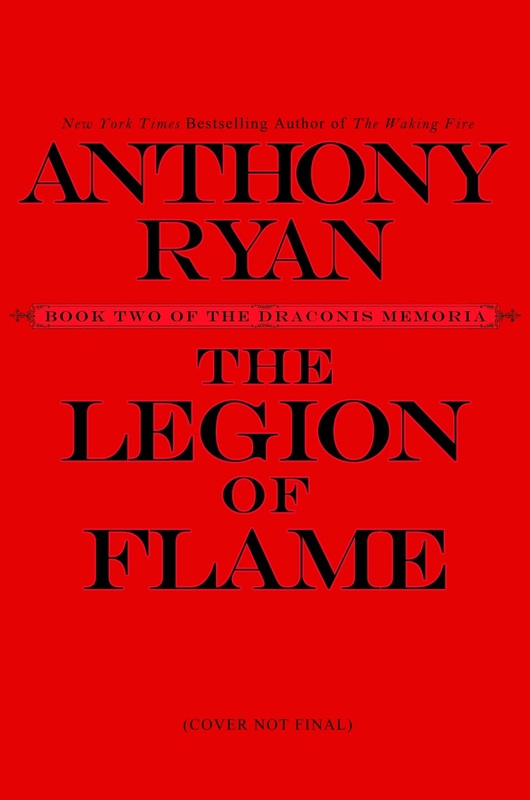 the title of the second volume of the Draconis Memoria is now confirmed as ‘The Legion of Flame’, currently set for release in July 2017. A pre-order page for the UK hardcover edition has already gone up on Amazon.co.uk, I’ll post the other pre-order pages as and when they appear. No word on the cover yet but watch this space. This entry was posted on Monday, September 12th, 2016 at 11:38 am	and tagged with anthony ryan, draconis memoria, epic fantasy, the waking fire and posted in Writing Stuff. You can follow any responses to this entry through the RSS 2.0 feed. Thank you, Sir. You just made me too excited. Thanks Paul. Hope you like it.